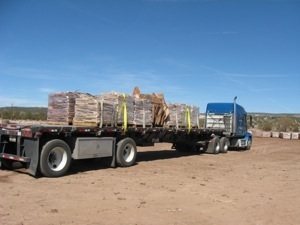 We will gladly accommodate and load your scheduled semi during our normal business hours or arrange for the shipping of your orders from our yard in Ash Fork, Arizona to your destination. We never profit from the scheduling of freight and confidently stand behind our trucking partners. 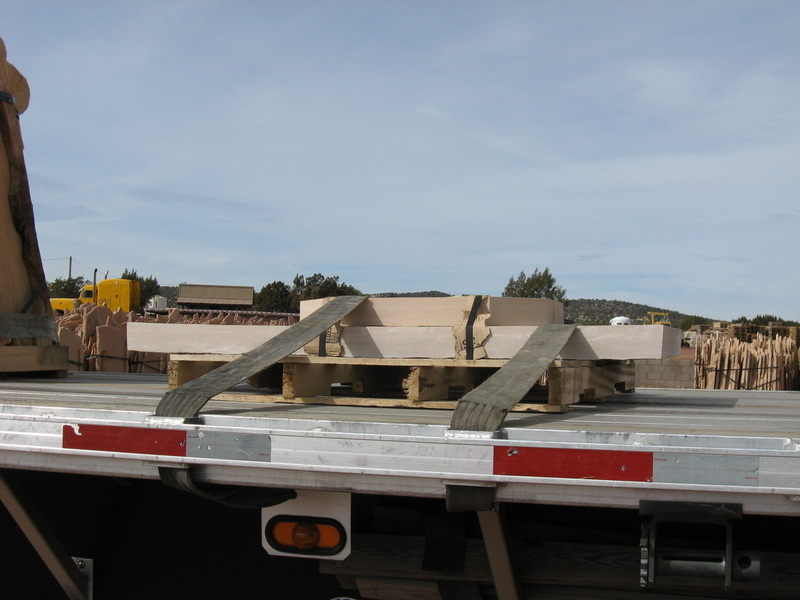 Upon receiving quotes from our trucking associates, we will inform you of the cost prior to shipment. 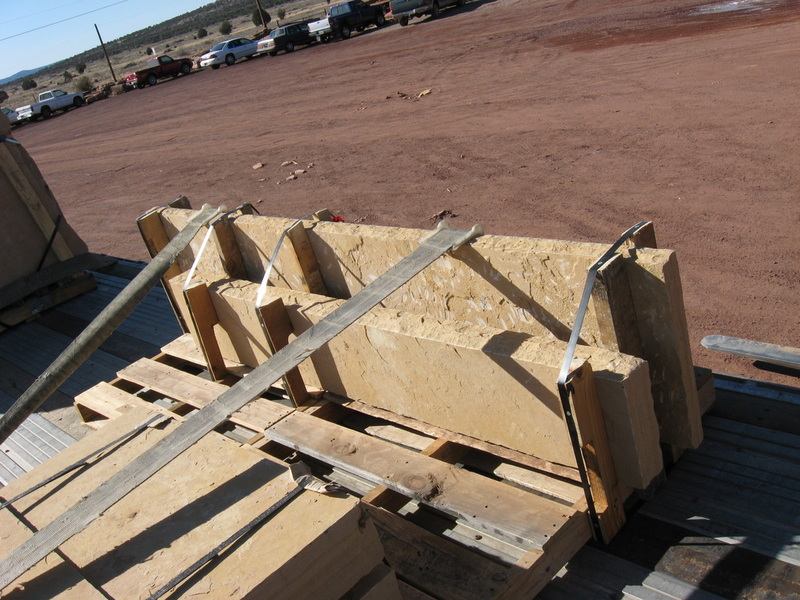 Before leaving our yard, we ensure that all materials are anchored, banded and secured for interstate shipment. 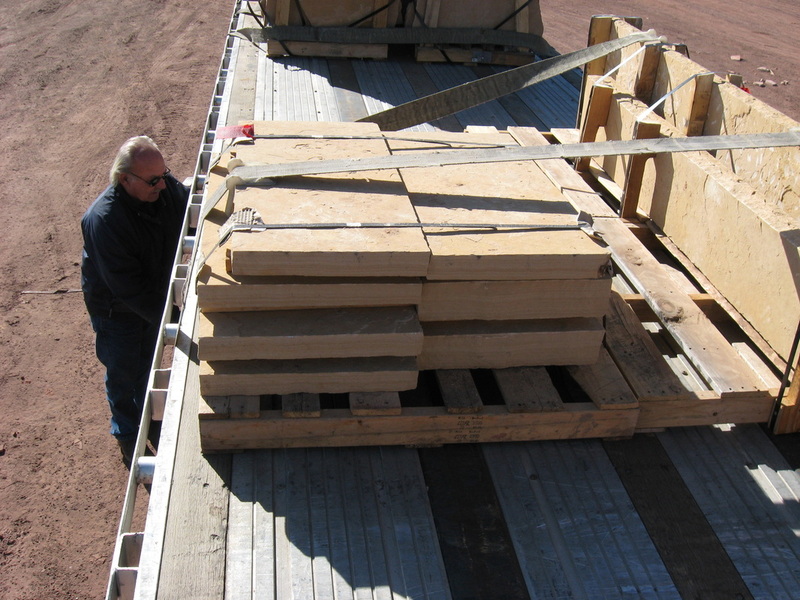 Pictures are taken of all materials before they leave our yard and we work with our trucking partners to ensure that they arrive in good shape. 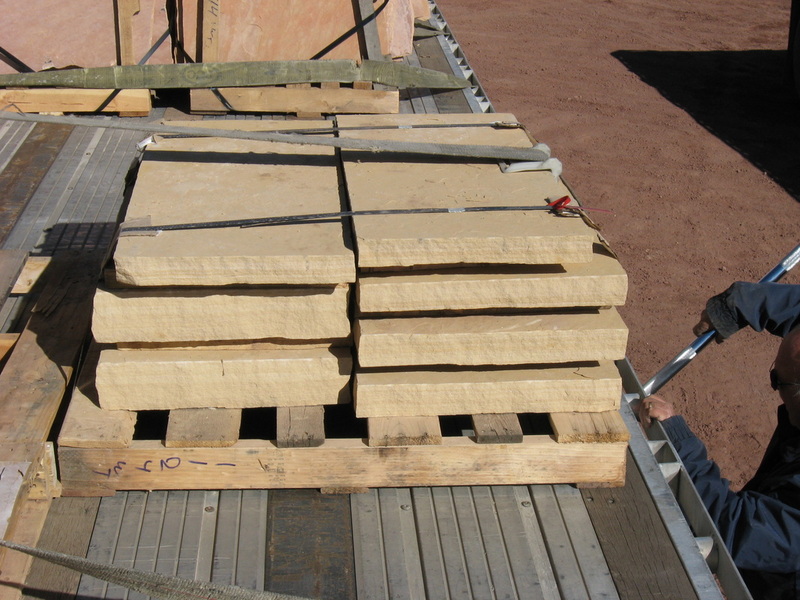 We cannot however, guarantee that all material, especially large heavy slabs will arrive unbroken. 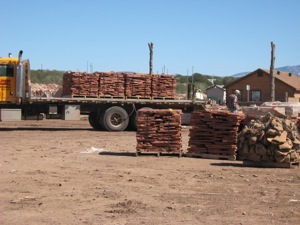 Please call for freight quotes in your area and additional information.